MOSCOW. Dec 3 (Interfax) – Russia has not been obstructing the passage of Ukrainian ships through the Kerch Strait, but traffic gets suspended from time to time, mostly for weather reasons, according to presidential press secretary Dmitry Peskov. “They [the allegations of Kyiv’s representatives that Russia is hindering the passage of Ukrainian ships through the Kerch Strait] are not true. There is a certain procedure for technical notification of the Kerch port administration. 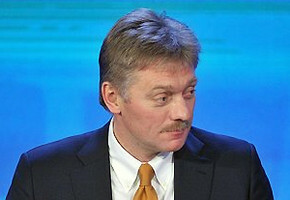 There are no restrictions,” Peskov told the press on Monday. International traffic has been intensive in the Kerch Strait, he said. “However, traffic is suspended sometimes for the sake of safe navigation due to weather conditions,” Peskov said. Traffic in the Kerch Strait was suspended several days ago because of high winds and strong currents, which endangered navigation, he said. “It resumed after the weather normalized. This is standard international practice. There is nothing extraordinary about it,” Peskov said.